I feel like that should be a thing. 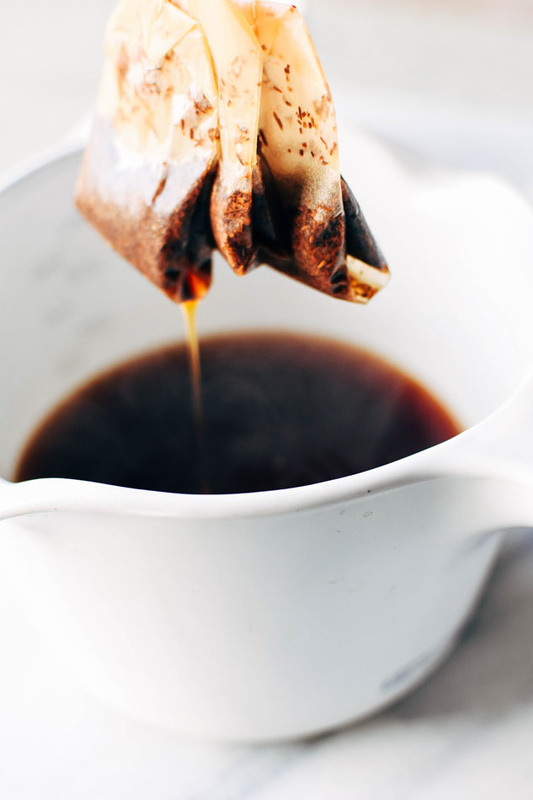 Fancy coffees + teas for every Friday to celebrate the start of another delicious weekend. Especially if we’re talking about a bulletproof rooibos cardamom blender latte! They’re like heaven, you guys. I love a fancy latte as much as anyone, but I had a realization a little while ago (as I’m sure we all have) about how much money I was spending on latte’s and fancy drinks while I was out and about. It was kind of a depressing number. So since then I’ve really gotten into the habit of making these drinks at home like nobody’s business. Usually these fancy drinks are a bullet proof coffee (decaf for me! 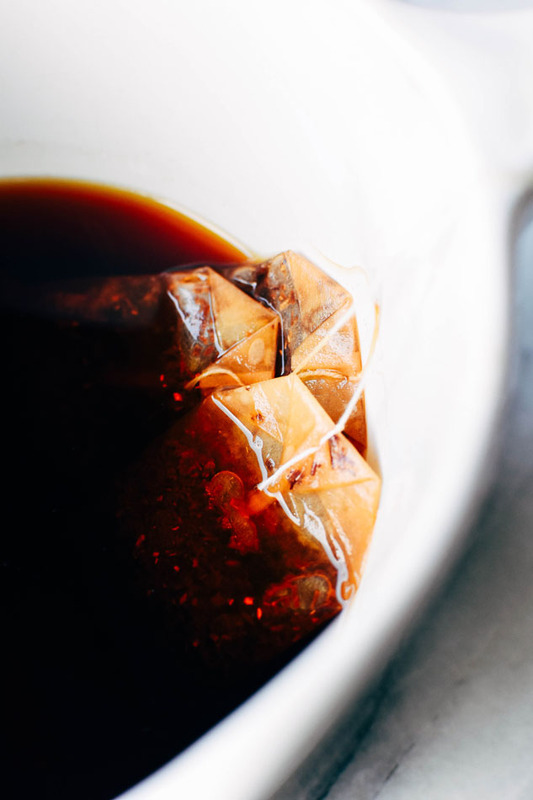 Yes I AM one of those people who can’t have caffeine and still drinks coffee.. go ahead and roll your eyes at me but I love the taste too much to ever give it up all the way! 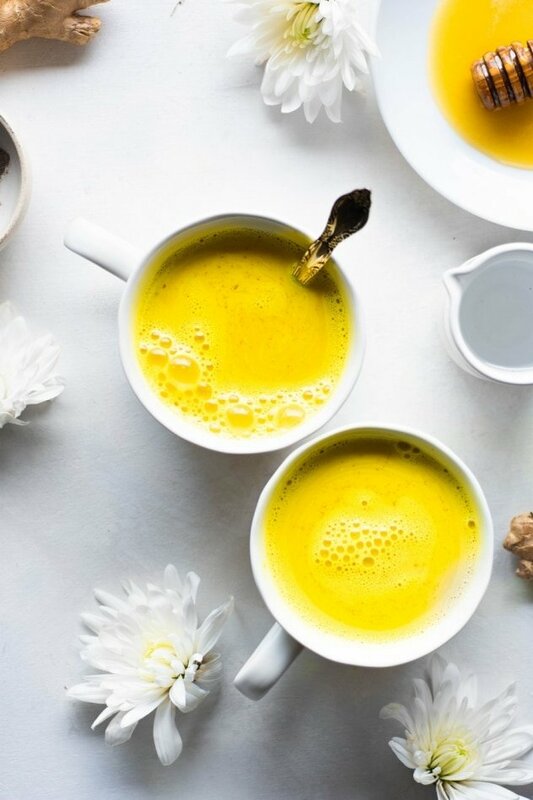 ), or if it’s the evening maybe a golden milk. But lately I’ve been experimenting with making latte’s out of tea. I know this is not at all a new thing to most of you and I’m a little late jumping on this bus, but I am so in love! For awhile it was chai from this place – http://www.samovartea.com (and yes I realize this tea is caffinated… my body wasn’t exceptionally happy afterward but it was so worth it!!) 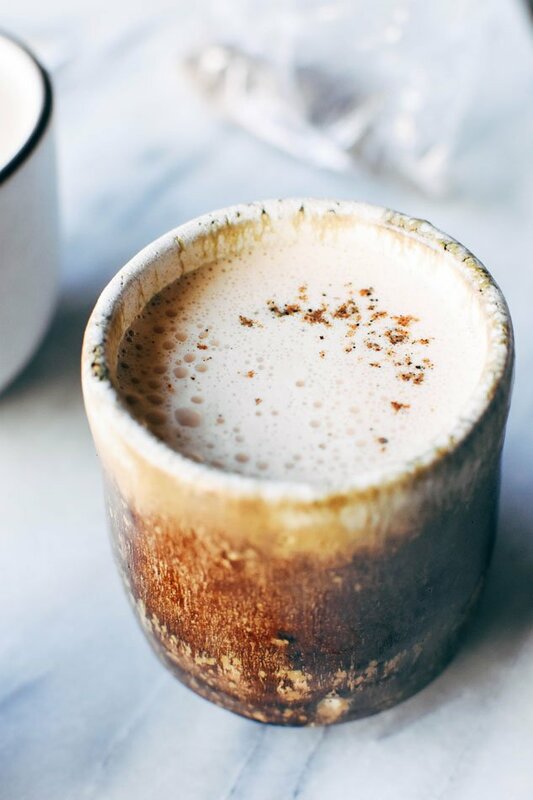 and then earlier this week I started making these rooibos cardamom blender lattes. And I am so in love! They’re earthy and have some really nice dark and intriguing notes without any of the bitterness of a black tea or coffee, which the cardamom pairs perfectly with. 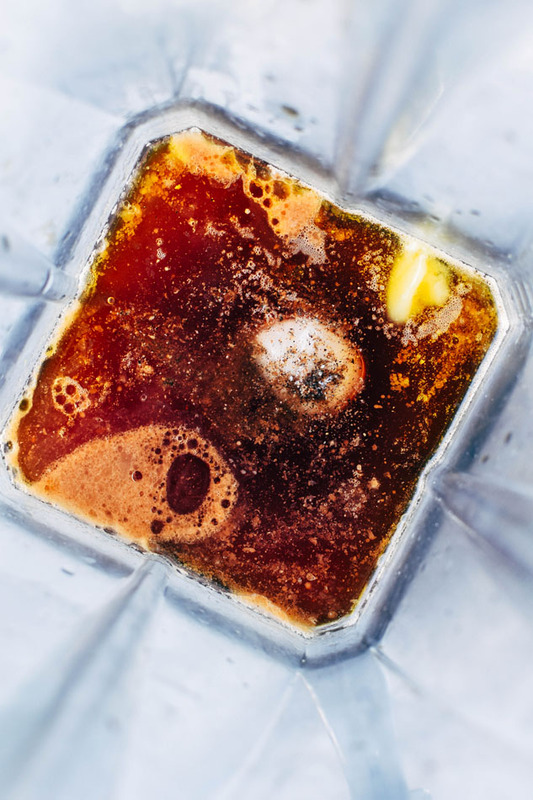 Because this tea doesn’t turn bitter when it’s been brewed for too long, you can extend the brewing process a little longer to get a nice, dark + rich tea. 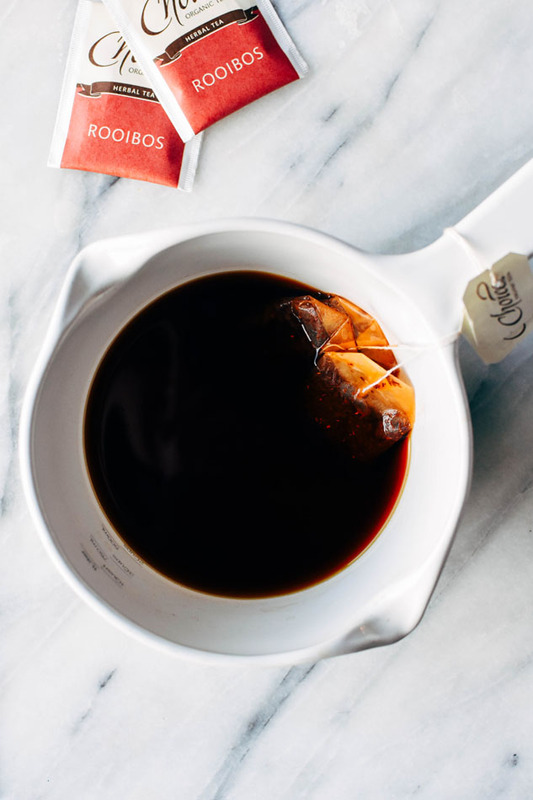 It makes such a difference in the flavor of the latte when you start with a strong brewed cup of rooibos! 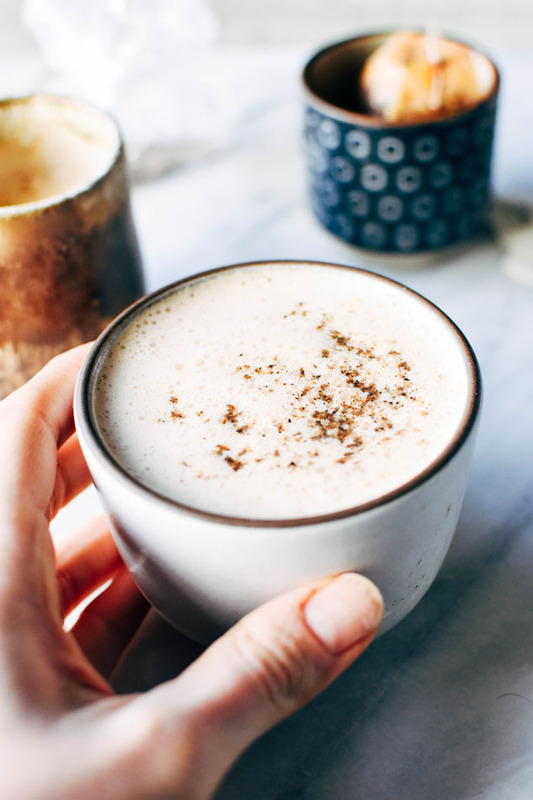 I made this latte bullet proof style – because I love sneaking in healthy fats into my diet! And nothing compares with that dreamy creamy texture. 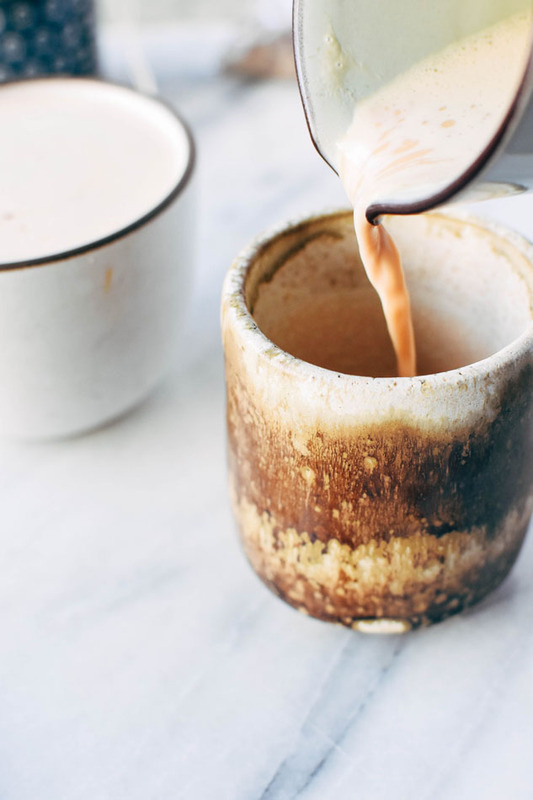 Raw almond butter – which adds an extra creamy note to the latte and will keep it from turning out too watery. It’s a method that’s piggy-backing on the idea of making nut milk by blending raw (super important that it’s raw so it emulsifies properly!) nut butter with water. 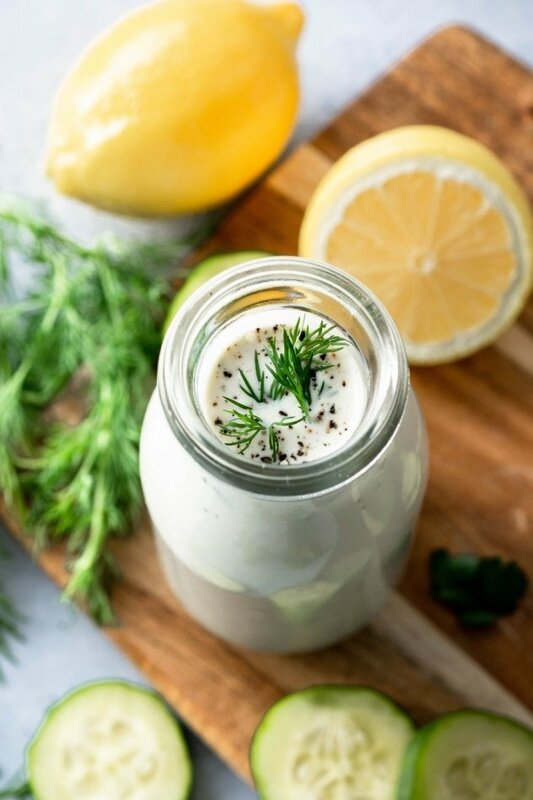 Coconut oil – this fat adds another layer of emulsifed creamy goodness, along with tons of health benefits such as anti-fungal, anti-viral and anti-inflammatory properties, balancing blood sugar, supporting the thyroid gland and boosting metabolism (source). 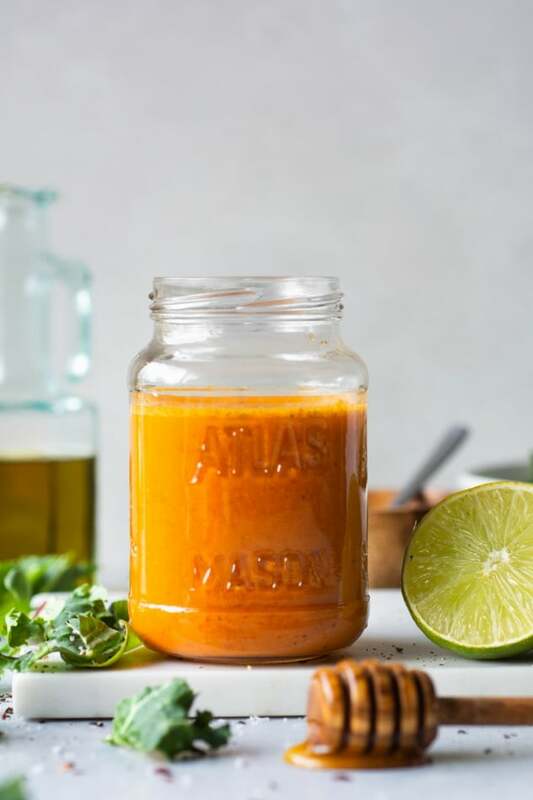 Ghee/butter – I love the flavor that ghee and/or butter adds to a bulletproof style beverage, but it can very easily be left out for a dairy free option! Cardamom hasn’t always been my favorite spice, but I’ve been experimenting with it a bit lately and the more I use it the more I like it. Plus isn’t it just so pretty sprinkled on top of the latte?! I love that it’s a multi-colored spice. But if you’re just not into the idea of using cardamom you could easily substitute cinnamon, or leave it out all together. And that’s that, babes! 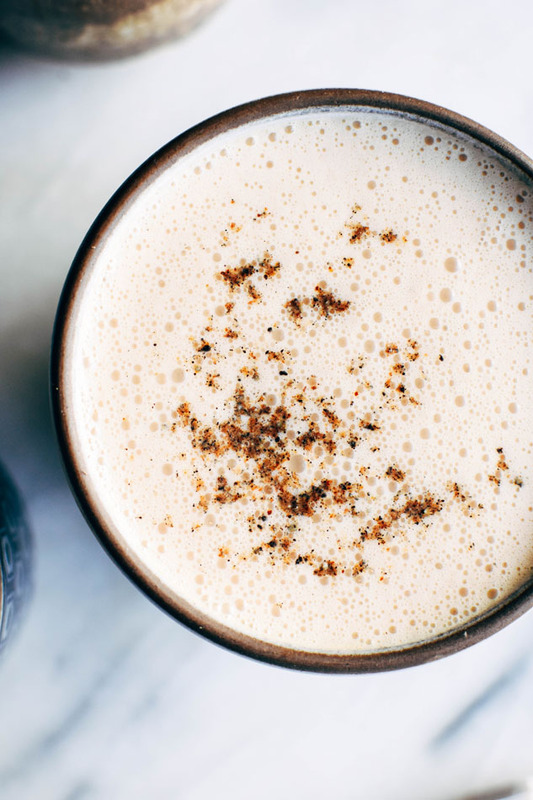 I don’t know about you but after all that I’m ready to jump on that old rooibos cardamom blender latte bus and get my fancy drink on! 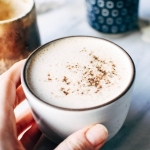 Rooibos cardamom blender lattes! 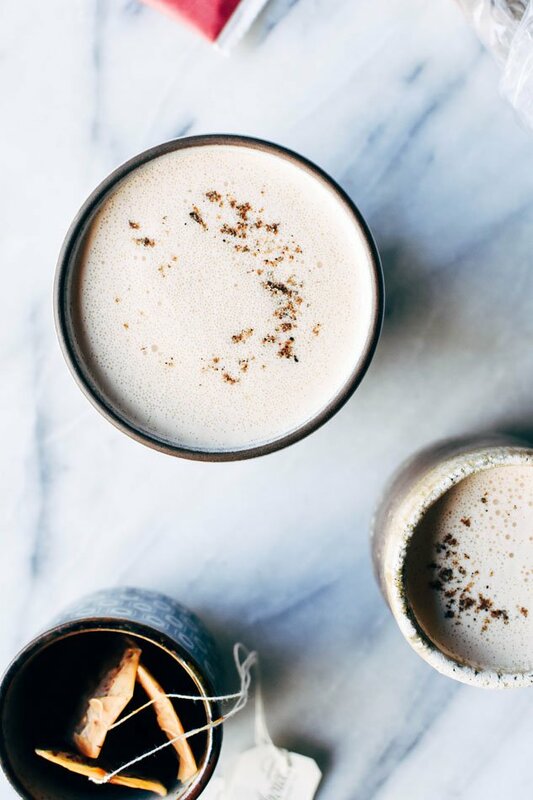 These fancy homemade drinks are a frothy, creamy dream – made with natural sweeteners and full of healthy fats and antioxidant + mineral rich rooibos! 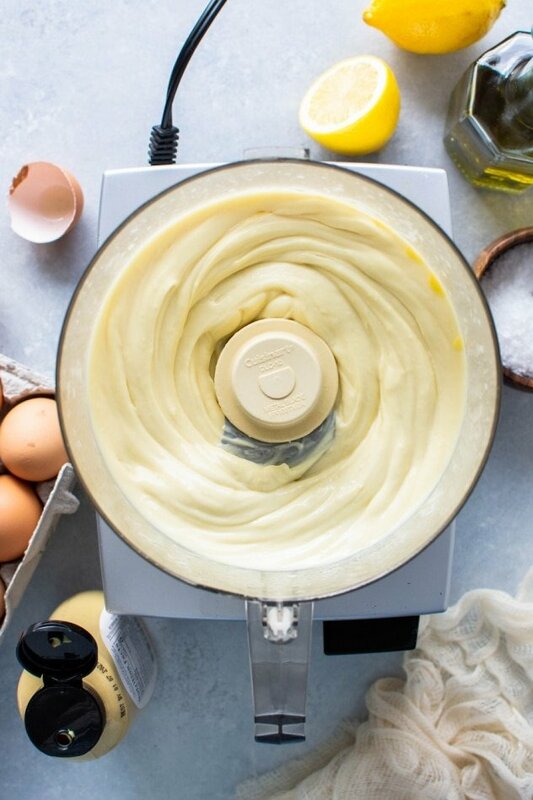 No fancy milk steamer required. Bring water to boil in a small saucepan. Lower to a simmer and add tea bags. Simmer for about 10 minutes, until quite dark. 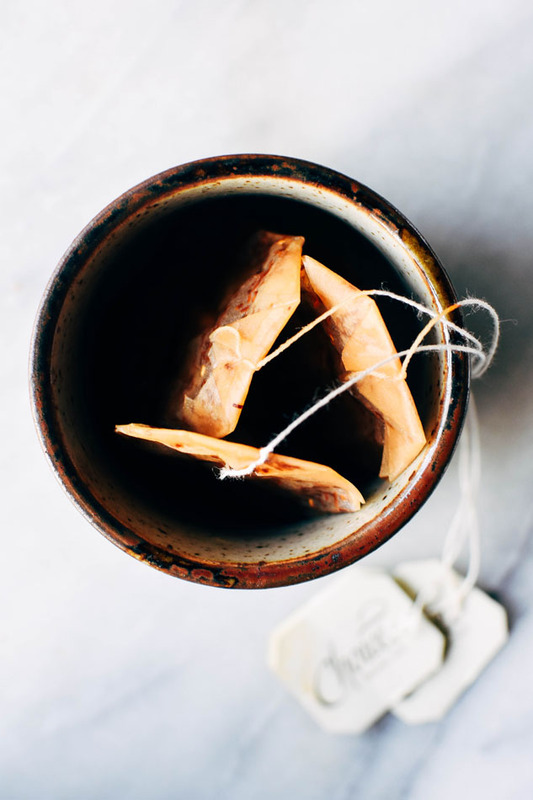 Add hot tea to a blender with vanilla, raw almond butter, coconut oil, ghee (if using), maple syrup, cardamom and sea salt. Blend on high for about 30 seconds until fats are emulsified and latte is creamy and has some nice foam. Taste and adjust sweetener if desired and serve, topping with a little pinch of cardamom for a pretty garnish. 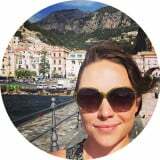 This entry was posted in drinks and tagged breakfast, brunch, bulletproof, cardamom, drink, latte, paleo, vegan, vegetarian on February 3, 2017 by Nyssa Tanner. With winter coming here in Australia, I often find myself craving hot drinks all day long. I love rooibos but usually have it with lots of milk. 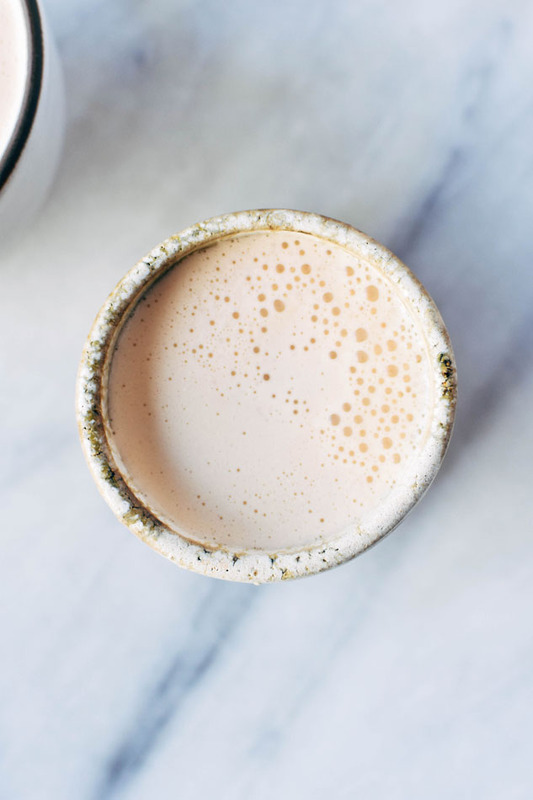 This Paleo latte version is SO delicious! I made the full recipe and will easily drink the whole thing. I used roasted almond butter because that’s what I had in the pantry and no ghee/butter. Otherwise followed your recipe and instructions to the letter. The flavour is amazing. Thank you!